Back in May 2005, I was diagnosed with Coeliac Disease. It sounds much worse than it actually is- it is an autoimmune disease, where Gluten (found in barley, rye, oats and wheat- or BROW as my doctor so helpfully put it into a phrase that I would remember), is consumed, it causes an immune reaction which damages the lining of the small intestine… not brilliant, but there are worse things a person can be diagnosed with that’s for sure! Mum and Dad felt terrible. As a baby, I had given them countless sleepless nights and restless days, (just a whining baby perhaps). As a child, I had usually been sick after birthday parties (just a greedy- eyes are bigger than belly, kind of kid). As a teenager, I would throw up on the way home from dinners out (just a cheeky teen who drank too much wine). But it was when I started university, that I started to realise that something definitely wasn’t quite right. Like most students, my uni life diet largely consisted of microwave meals, pasta, stodgy take-aways and Turbo Shandies (beer and Smirnoff Ice combined!) which then caused the annoying and uncomfortable symptoms to intensify. Compared to most Coeliacs, I got off lightly, suffering from stomach aches, bloating, bad skin, sickness and exhaustion (and yes that was lightly!). Once uni finished I was keen to make a fresh new start, which firstly meant getting fit and healthy! A doctors appointment, a blood test, endoscopy and colonoscopy later- I was a fully fledged Coeliac, which meant that I had to completely cut Gluten out of my diet… for good. It was tough at first, but well worth it. Since becoming ‘a Coeliac’, I feel super healthy and thankful that a Gluten Free Diet is all I have to contend with right now. This is largely down to Mum and Dad who were brilliant. It was their support and culinary efforts that have made me feel at ease with the changes and actually able to enjoy my special foods. 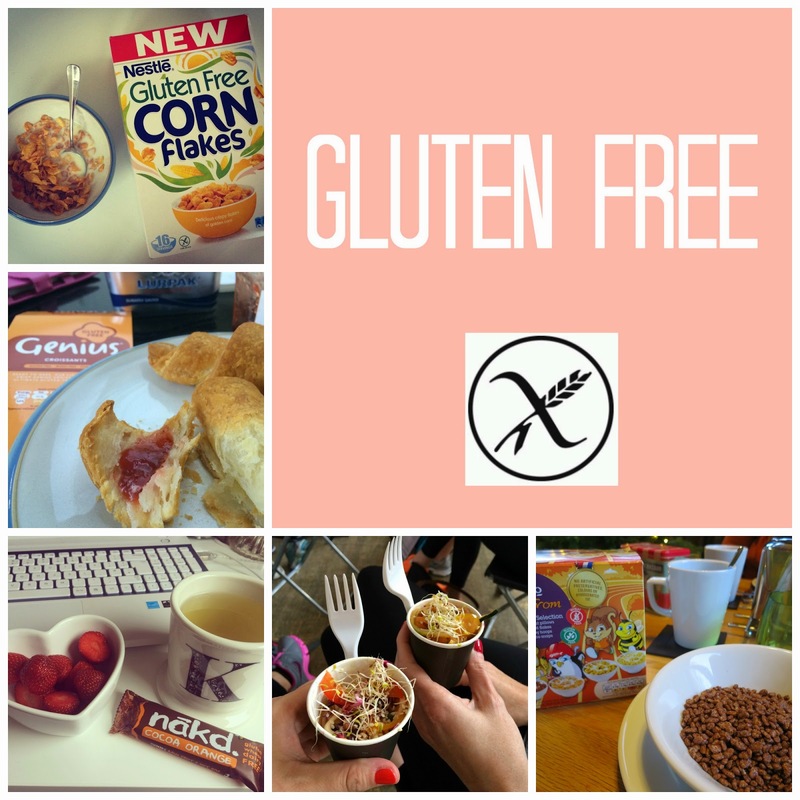 Coeliac Disease is becoming so widely accepted and appreciated, that I want to share my Gluten Free journey- the good and the bad experiences- in the hope that some might find it helpful. Next Post Fifty Shades of Shame…Sorry, Grey!